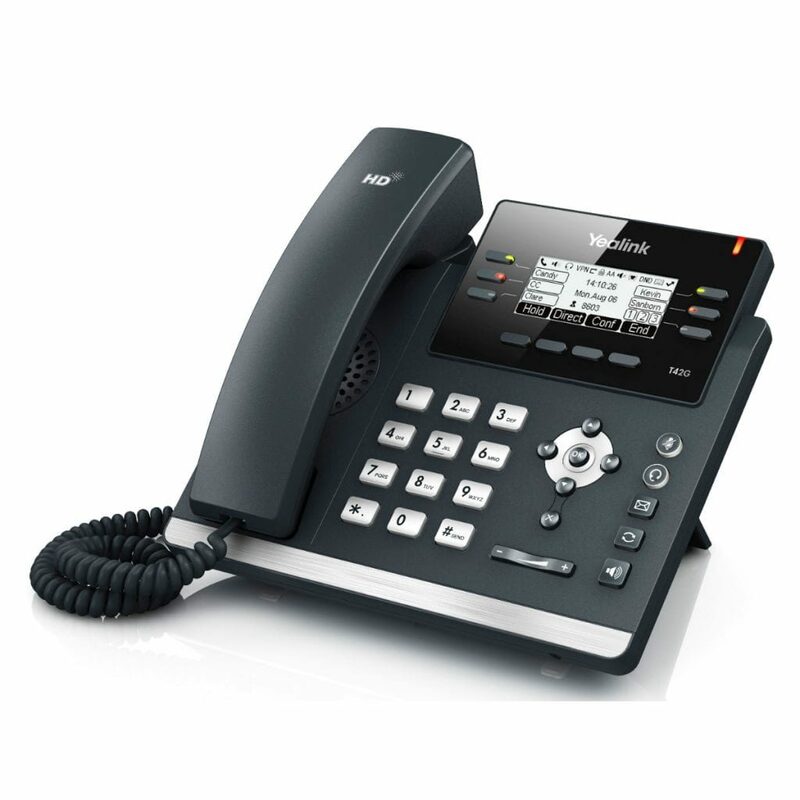 Providing seamless integration with GigE network infrastructures, the SIP-T42G is a future-looking phone with enough features to operate in the business environment. With an eye towards ease-of-use, the T42G offers three lines, exceptional audio quality, and a full graphic interface. The T42G provides fully programmable keys, productivity enabling functionality, and modern encryption to ensure security (even during remote access).